Watch out! 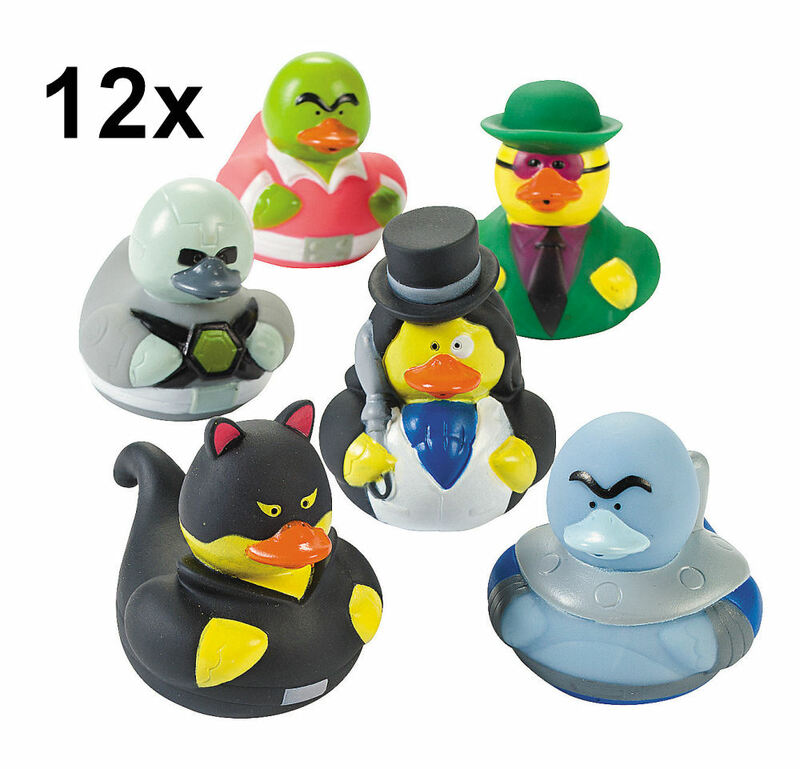 These 12 Super Villain Rubber Duckies may be hatching a grand plan. Add our fun rubber ducks to party treat bags, use them to decorate at work or make them part of your toy collection. Randomly assorted. Vinyl. 2 1/4 inch duckies do not float upright.